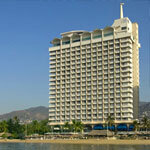 Krystal Beach Acapulco ideal for families, couples, friends and great choice for groups and meetings, 400 rooms distributed on 19 floors in a main tower, 2 different Bars, 2 restaurants, 1 snack bar and spacious ballrooms. 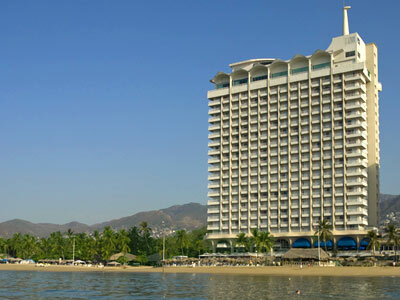 Located in Acapulco Guerrero famous golden zone with an excellent ocean view of the world famous Hornitos Beach - just right in the center of everything - our Acapulco beach hotel, offers the essential of amenities and services to complete a memorable experience. 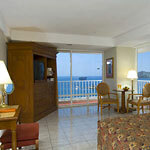 Exquisite Mexican dinning and specialties of local food add to our warm and cordial service. The comfortable large guestrooms have private bathroom, direct phone line, Local TV with Cable, security safe and air conditioning system. 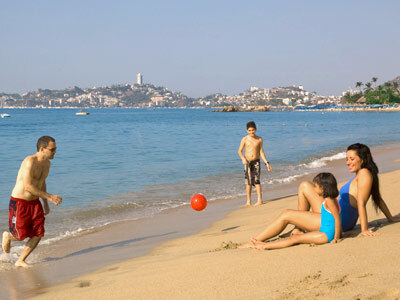 Krystal Beach Acapulco offers variety of water sports, beach activities and entertainment for a memorable stay. Dinner 6.00 - 11.00 p.m. at Aquamarina restaurant (Lobby level) or Theme buffet (seasonal and weekends) Surcharge in fine cuts and shrimps (US$10 per person). House wine by the glass. 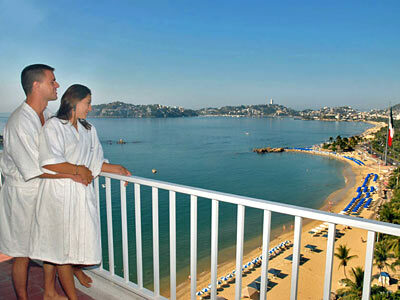 Private events, Christmas, New Year´s & Easter week. 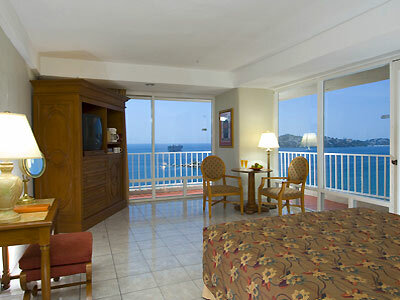 *Christmas and New Year’s Eve Gala dinner are not included, optional. Surcharge applies.